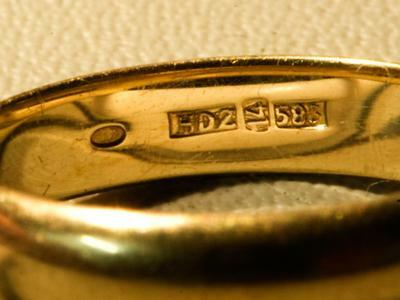 I have a gold ring that has the following inscribed and was wondering of it's origins. First mark is an oval shaped cutout with what looks like a leaf. Followd by the letters HD2 or HDZ. Then 14 sideways and 853 after that which I assume means 14 carats.